Snapchat is a smart phone application that enables temporary photo sharing between friends. The user takes a picture or video, adds a caption or draws on it, then sends it to as many friends as they’d like or posts it to a public story. Users have the option of sending the photo for up to ten seconds and then it vanishes forever, though will remain on the story for twenty-four hours. Snapchat reports that its mostly teen user base sends over 700 million “snaps” daily. Materialized out of a fraternity house at Stanford University in 2011, Snapchat Inc. is one of the fastest growing technological startups in history. Its founder and CEO, Evan Spiegel, was 21 when he nurtured his brain child. In the latter half of 2013, Spiegel denied a purchase offer from Facebook [NASDAQ:FB] to buy the company for $3 billion. Shortly after, he received massive amounts of money from 23 venture capital firms and investors, resulting in Snapchat being valued at $10 billion the following year. Snapchat is reportedly seeking to raise an additional $500 million in venture capital to reach its targeted valuation of $19 billion. This is an overwhelming amount of money and may raise questions as to why a company who offers free services with very little advertising revenue is valued at so much. The answer is one that is fairly intuitive. Many venture capital firms and wealthy investors are investing in Snapchat simply because they see tremendous growth for a company located in a rapidly developing market. They are hedging their bet that Snapchat is actually worth the money. Financial backers are confident in the company’s ability to thrive for several reasons. First, the user base Snapchat serves is enormous. In 2014, they had over 100 million users and that number has since grown. Most of their users are young, giving hope to investors that they will be open and excited to innovations in the company. 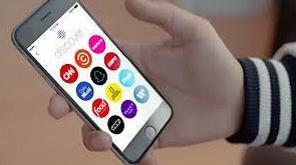 The business sector in which Snapchat operates in is one to draw enormous attention. Internet business is giving home to a lot of venture firms wanting to invest. Using the analogy of space being the final frontier for mankind, Internet business seems to be the final frontier for venture capital. Additionally, in a growing atmosphere of lack-of-privacy, Snapchat gives home to a sense of privacy. The user can simply send a picture or video which virtually cannot be accessed once their designated time expires, which leaves the risk of high-profile hacking diminished. Also, why would someone not want to invest in a company Facebook saw as a good investment? A $3 billion investment at that. Facebook was valued at $104 billion at the time of its initial public offering (IPO). .
Lastly, there is overwhelming fear in Silicon Valley of missing out. No one wants to miss out on another Facebook or Google [NASDAQ:GOOG]. It is obvious that not all companies do as well as a Facebook or Google, but some do. If Snapchat does in fact receive the $19 billion valuation, it may set sail to be the next huge success from Silicon Valley.